Today I decided to do something I’ve been thinking about for quite a while, namely changing the domain name of my blog to oldschoolgameblog.com. 🙂 This will make it easier for you to type in the address in your browser, as the old one was too long. 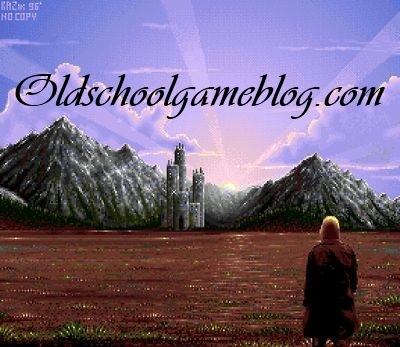 If you’ve got a link to my blog on your site, I’d be most grateful if you could point the link to oldschoolgameblog.com. Many thanks in advance. Have a nice weekend folks and thanks for reading! Link updated. Congrats on the new domain – trust me, it’s worth it. I did the same for my wife’s blog and I have to say it is really worth it. I will do it for my blog also very soon. I really hope to get some stuff done this weekend. As always very little time. For one I want to finish part 3 of my ReAction tutorial and post something else as well. Looking forward to reading some new stuff on your blog. Are you going to check out Watchtower btw? Thanks for commenting. 🙂 Many thanks for changing links and RSS feeds. Much appreciated! How’s your retro projects going btw? Congrats! Finally interact with the page again! Pondering this myself, but can’t really decide if its worth doing. Other comments seen to indicate it’s worth doing. Other than having the domain what are the benefits?? I think it is nice to be “the master of my domain”. 🙂 It’s great that the address for the site is simpler too. I’ve read that you’ll get better exposure in search-engines as well.